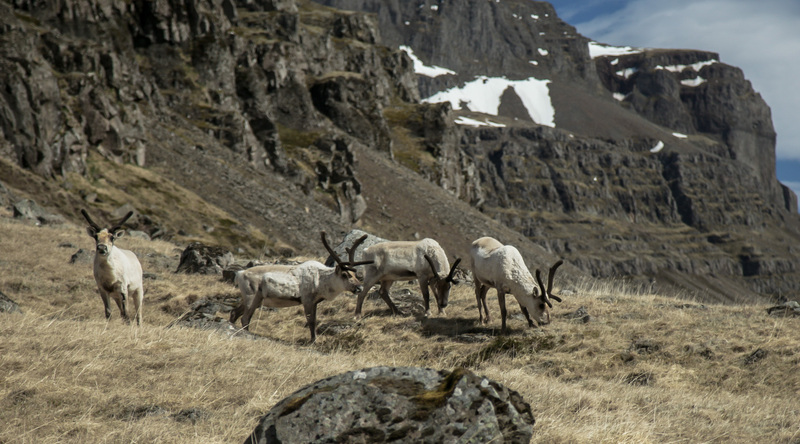 Reindeer are the largest wild, land mammals in Iceland and like most mammals in Iceland, they are not native to the island. You will find that they are stunning insight and surprisingly agile and poised considering their size. 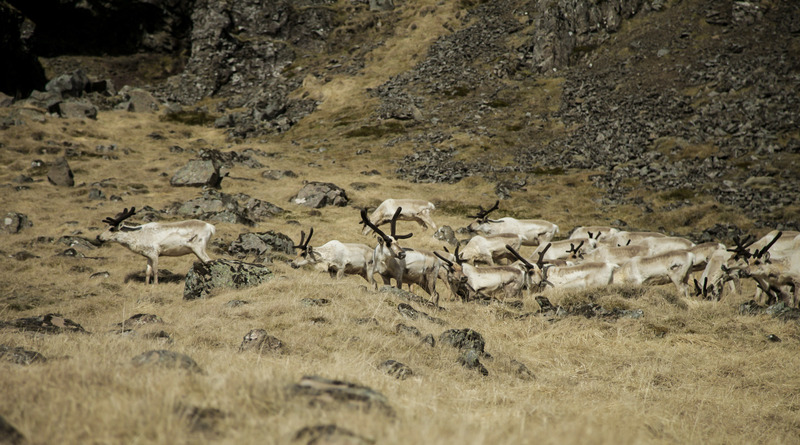 The state first imported Reindeer into Iceland between 1771-1787 from Norway. To begin with, they were placed in the Westman islands, south-west Iceland, North-east and East Iceland. But they have only been able to thrive in East Iceland, and now that is the only place in Iceland where you can see them. Reindeer are herd animals. You will rarely find a lone reindeer, but the size of the heard depends on the season. In winter you can often see large herds of up to a few hundred deer. But in summer time the groups are smaller, and sometimes you can even find just 1-3 male deer on their own. The deer are strong and powerful. The adult male deer are up to twice as heavy as female deer with the male weighing about 80 to 100 kilograms and the females only about 40 kilograms. 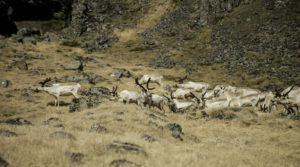 The reindeer are also the only herd animals, where both males and females have antlers. They grow new horns each year and shed the horns between November and Mars. The only exceptions are the cows with calf's; they shed the antlers after giving birth in May. While growing the horns are soft and have dark flannel-like skin on them. When fully grown the horns turn hard and loose the skin. Soon after, the deer shed the antlers. The best time to see the Reindeer is in the winter time. That is because this is the time when the herds head down to lowland in search of food. In summer they tend to stay far in the highlands, away from human contact. This is when the calves are young and dependent on the mother and therefore need an isolated environment. This is also the time when food is sufficient, even in the highlands. For this reason, it is harder to find reindeer in summer. For those interested in wildlife East Iceland is a great place. Besides the reindeer, the Arctic Fox can also be found here, as well as many species of birds. If you are hoping to find Reindeer while visiting East Iceland, you can also join our Wild Reindeer Experience tour. On this tour, we take you searching for the deer in places where they are most likely to be found. In this blog, we use information from the web of the East Iceland Nature Research Center for reference.